When you think of summer, you think of bright colors and the sound of wind chimes in the air. 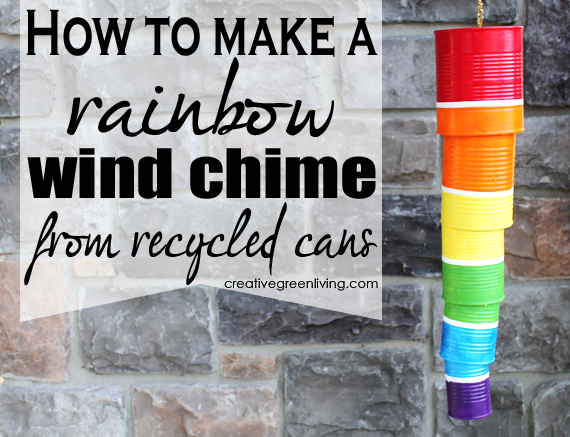 You can brighten up your summer by making your very own rainbow wind chime from recycled cans. This is a great green living project that the whole family can do together and really enjoy all summer long. Click here to visit Creative Green Living to find out how easy it is to make this cheerful and environmental wind chime.